What is The Best Choice For Flooring in a Rental Unit: Hardwood, or Carpet? The most obvious perk is already mentioned. Wood floors are typically easier to maintain and clean, and have a longer durability and life that most carpets designed for rental units. Hardwood enhances the overall image of the home which could help it rent and sell faster down the road. You might not command a lot more money for the hardwood, but you’ll be competing with other quality homes. A well-kept hardwood floor tells renters that you’re serious about taking care of the property. In turn, they will believe that you will continue to do so while they are tenants. 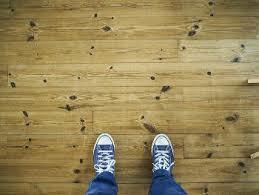 The most important point in making an argument against hard wood floors is the lack of durability for many woods. Moisture and moving furniture around on the surface can quickly show the signs of wear – especially in heavily trafficked areas. The cost to restore it after a bad tenants could be excessive. On the upside, if it’s regularly maintained it has th e longest life over other types of flooring. Wood is nosier. Simply put. 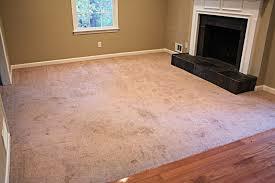 With carpet, the fibers and texture of carpet absorb a lot of the sound. With wood floors, thouse sound waves reverberate and add to the noise level in rooms. 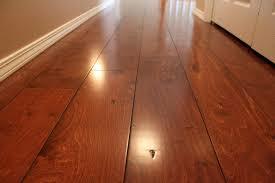 Cost is a big factor to consider unless you have existing hardwood beneath your carpets. Even on a smaller rental you can expect to pay a hefty chunk of change to get hardwood installed. Moisture can severely damage hardwood floors. This can occur with big spills, improper maintenance, leaving pipes or moisture coming up from a cement slab. Carpet is plus, and if you get a decent pile then it will feel great on barefeet. A good neutral carpet can go with just about any type of decor as well. Unlike some wood floors, carpeting can make a room look a lot more warm and inviting. Think of locations that would be far less comfortable if they had no carpet; Dr’s cl inics, businesses, etc. Carpet makes everything feel more comfortable. Depending on the type of carpet you get, the actual cost could be far less than installing hardwood floors. This really varies based on the materials used but it’s possible to get a long lasting carpet for a fraction of hardwood flooring. 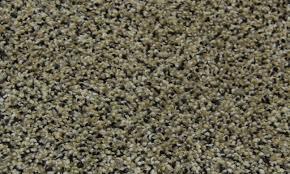 While cheaper carpeting may be easier to install, you may have to replace that carpet more frequently or need more maintenance beyond a simple deep cleaning each time you replace a tenant. Trends often change on a dime, so certain styles that are appealing to renters and even buyers may not be popular or even appreciated when it comes time for a new tenant. Having the wrong kind of flooring in your home can be a serious turn off to renters. There are numerous flooring options outside of hardwood floors and carpeting, and if you’re really interested in changing over the look and style of your rentals these may be more suited to your needs. 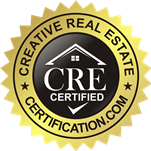 If you’re not sure what type of flooring is the most appropriate, contact a designer who can help you make a decision. This is not a difficult question to answer..hardwood!! Every time. To any homeowner reading this who rents their property out, please do not put carpet in your rental. It will be a huge mistake. They get so dirty, and you’ll face prospective tenants who are going to complain and try to gip you down on the rent based on the carpet condition. Let me repeat..hardwood, hardwood, hardwood!! Amen. I have a friend who also owns property and she regrets carpet. She doesn’t want to put the money in to replace it, so she’s got to charge lower on her rent. Has for years. People have become way more accepting of engineered floors than they were years ago. They’ve really come a long way regarding quality.